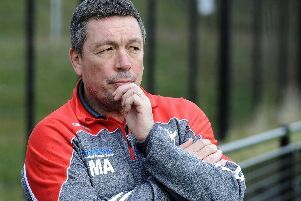 The surviving members of Sheffield Eagles’ 2018 squad will be looking over their shoulder next season, says director of rugby Mark Aston, as he continues to rebuild for next season. Four new signings have been confirmed for 2019, with Aston confirming there are more names to follow as he looks to run a bigger squad for the next 14-team Championship campaign. Whilst many names have yet to be confirmed, the Eagles chief has completed his goal of having the vast majority of his business completed early, with just some minor tweaks required before he pulls his new look roster together for pre-season in November. Many faces from 2018 have departed, but some remain with Aston confident that competition will be fierce as he looks for his new recruits to put the required pressure on those who survived the close season rebuild. Aston told The Star: “There will be a few players looking over their shoulders, they'll be thinking wow, they have fetched him in and him in. The Eagles have confirmed the arrival of Batley duo James Davey and Jason Crookes, whilst Sonny Esslemont and Louis Sheriff have arrived from Hemel Stags. Aston was keen on bringing the likes of Keal Carlile and Jake Spedding back to the Steel City, but missed out as he looked to carefully manage what is still a tight playing budget. Whilst another ex-Eagle Misi Taulapapa may also be a stretch too far, Aston confirmed he did get the majority of what he wanted as he looks to bring some continuity which he says has been lacking in recent seasons. “I have got the key personnel,” Aston continued. Meanwhile, the club have confirmed that memberships for the 2019 season are on sale with early bird prices available until 4pm on Tuesday 20th November.